August 8, 2014 - Congratulations to Patrizia Garrido Bosco for winning the Mutya ng Pilipinas - Overseas Communities crown, one of three major titles up for grabs in the Mutya ng Pilipinas 2014 pageant. Her great grandfather is Juan Garrido, the wartime WW2 resistance mayor of Cabatuan under fellow Cabatuananon, Tomas Confesor, the Governor of Panay & Romblon. By virtue of his being the Cabatuan Mayor, Juan Garrido and his family were captured by the Japanese on December 28, 1943 in Barrio Pamuringao, Cabatuan, and massacred on January 4, 1944 in Barrio Nanga, Guimbal, Iloilo. Killed with him were his wife, Concordia Tabiana, and their four children, Lilia, Nicolas, Sergia and Juan Garrido Jr.; and his sister, Consolacion Garrido Blanch and her three children, Enrique, Remedios and Salvador Blanch. The Garridos of Cabatuan, as well as Alimodian and other towns, trace their lineage to the sister of Fr. Manuel Gutierrez, the Spanish Parish Priest of Cabatuan in the 1890's who brought his family to Iloilo when he was assigned here. Doña Ana Gutierrez y Montoro (Fr. Gutierrez' sister) married Don Juan Garrido y Pelaez from Malaga, Spain. They have one son, Don Jose Garrido y Gutierrez who married Josefa Tabiana of Tubungan. Father Gutierrez began as the Parish Priest of Cabatuan, Iloilo on February 12, 1890. While serving as the town's parish priest, he was also the "Vicario Provincial y foraneo, Examinador de Idioma, Visitador en Iloilo y distrito de la Concepcion (1890)" and later "Definidor" (1893) of the Agustinian Order. Fr. Gutierrez decorated the Cabatuan Church during his assignment. His renovations earned praises, leading one Iloilo newspaper to call the Cabatuan Church a Model of Temples. Patrizia, the Mutya ng Milan (Italy) candidate in the Mutya ng Pilipinas 2014 pageant, had been consistently picked as one of the favorites, if not the favorite. She represented the Filipino Community in Italy . She had won the following pre-coronation awards: Top 10 Best in Swimsuit (Puerto Princesa, Palawan), Top 10 Best in Long Gown, Darling of the Press, Mutya ng Pilipinas 2014 Miss Lee Cooper Jeans, Mutya ng Pilipinas Sheridan Resort, Miss Confidence by Tupperware Brands. 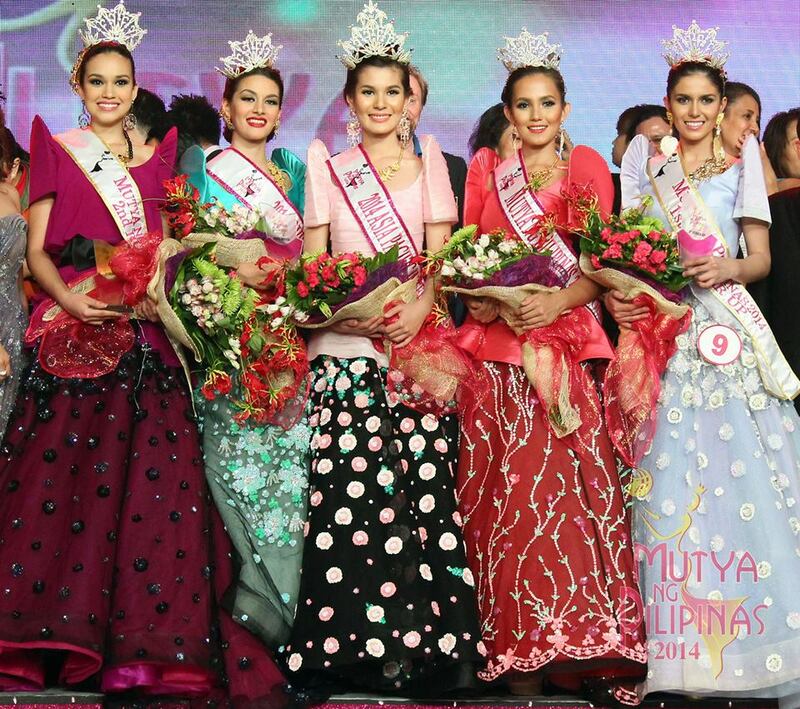 The Grand Coronation of the Mutya ng Pilipinas 2014 was held on Friday, August 8, 2014, 7 P.M., at the Grand Ballroom, Solaire Resort & Casino, Manila. Telecast will be on Sunday, August 10, 2014, 12 Noon to 2 P.M.
Up for grabs were three titles: Mutya Ng Pilipinas-Asia Pacific, Mutya ng Pilipinas-Tourism and Mutya Ng Pilipinas-Overseas Communities. 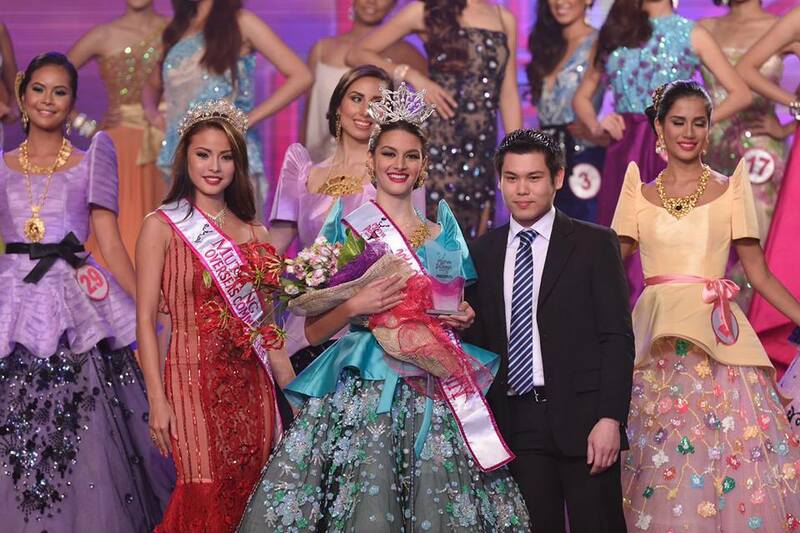 The other winners were Psychee Patalinjug (Mutya 2014 for Asia Pacific) of Cebu, Glennifer Perido (Mutya 2014 Miss Tourism International) of the Cordilleras, Christine Racel (1st runner up) of Olongapo and Kim Fyfe (2nd runner up) of Australia.